Pick-up lots of great reading materials @ South Wind Books for a fraction of the retail price if new. Vacations are always catch up time for good reading but with airlines charging punitive charges for checked luggage, you might give second thought to that third or fourth book. 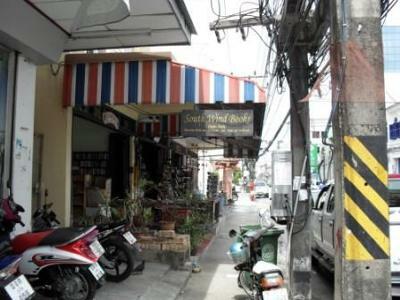 Not to worry, a quick trip to Old Town in Phuket City can save you money and give you chance to load up on lots of great reading materials. Separated into several rooms, you’ll be delighted to find thousands of second-hand books in many languages, at South Wind Books. You’ll probably need a map and I still get confused after many numerous trips but you can find South Wind Books on Phang-nga Rd. in the old town section, very near the rotary. They are open Monday through Saturday from 9AM until 7PM and Sundays from 10AM to 3PM. For me living here, it’s a great score because I simply return the books I finished reading and get a rebate towards my new collection of books. On my most recent visit, I left with 8 books for a total of 360 baht.